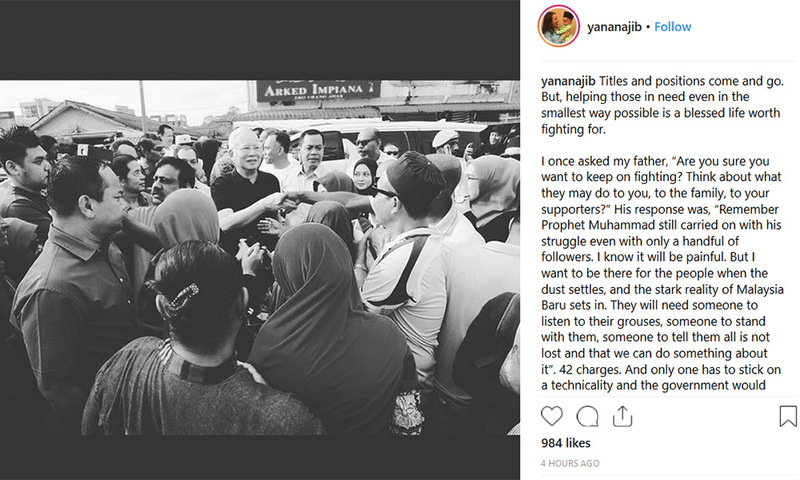 Taking to Instagram, she posted a black and white image of Najib shaking hands with people in a crowd. “42 charges. And only one has to stick on a technicality and the government would have silenced its strongest critic,” she wrote. Nooryana recalled how she had once asked her father if he wanted to "keep on fighting," given the potential consequences that could befall him, his family and his supporters. “His response was, ‘Remember Prophet Muhammad still carried on with his struggle even with only a handful of followers. I know it will be painful. But I want to be there for the people when the dust settles, and the stark reality of Malaysia Baru sets in. "'They will need someone to listen to their grouses, someone to stand with them, someone to tell them all is not lost and that we can do something about it’,” she quoted Najib as saying. 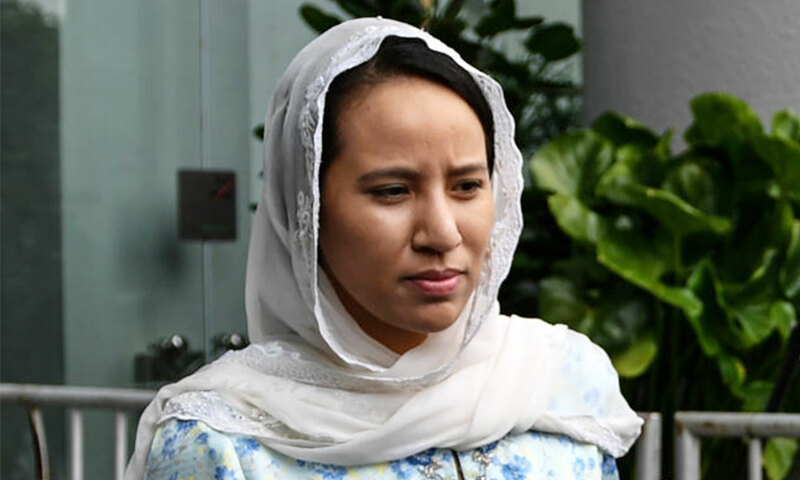 Nooryana, Najib’s eldest child from his marriage to Rosmah Mansor, thus urged supporters to rally around him. “Every second he spends alone in the accused dock, he will be thinking of his family, friends, supporters and the people that he so deeply cares for. “You are his source of strength and determination. It will be your kind thoughts, encouraging words and heartfelt prayers that will help him weather this storm. “Please stand by him in what will be the biggest test of his life,” she said. 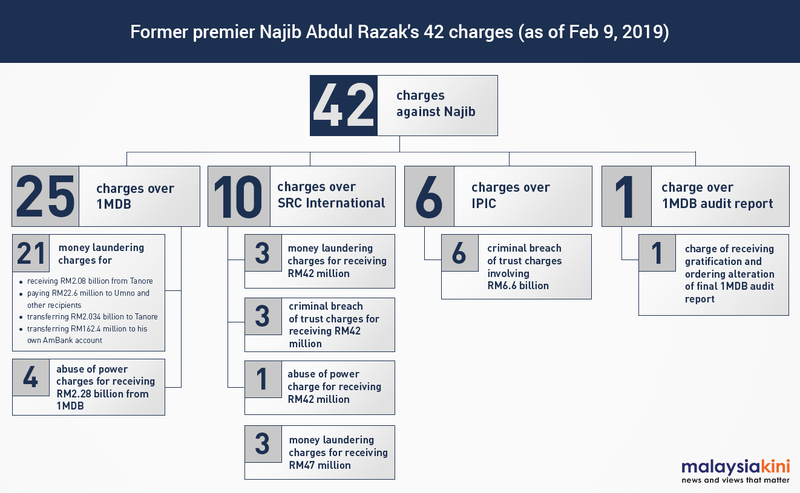 Najib is facing a total of 42 charges, including money laundering, criminal breach of trust, abuse of power and corruption, with the first hearing scheduled for tomorrow before the Kuala Lumpur High Court. Nine prosecution witnesses are expected to be called. The 66-year-old is the first former prime minister in the country's history to be charged in court.